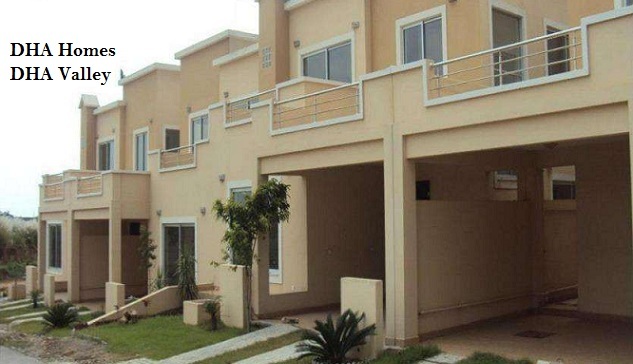 Zameen.com has been extensively covering DHA Valley Islamabad since we are aware that a lot of Pakistanis, from both within the country and overseas, have invested there. These investors have major concerns over the slow development of the project. With the intention to keep our readers posted about the latest development and the present status of DHA Valley, we do talk to the relevant experts of the industry from time to time and share information with the investors who have been waiting for years to see the value of their DHA Valley property go up. In this regard, we consulted Property Investment Point CEO Brig (R) Waqar Raja, a renowned real estate agent practicing in Islamabad with extensive knowledge of the market, to discuss the reason for slow development in DHA Valley. Despite the prevailing difference among developers, Mr Raja believes that 2016 is the year when DHA Valley investors will get to see some concrete development in possession of property there. The management of Defence Housing Society is also getting keener with every passing day to deliver their commitment regarding DHA Valley project, which has already suffered at the hands of somewhat controversial people from the real estate sector as well as important members of the current government. Looking at the past sale price trends of property in DHA Valley, we have seen a constant price drop followed by a very low demand in the market. Yet the investors of Valley are not willing to sell their property. The decision of holding on to their property in DHA Valley is an indication of the fact that these investors have faith that DHA management will not abandon the project, but soon attend to it, giving a major push to property rates there. While there are many factors that have convinced investors to hold their investment in DHA Valley, the project’s location is the main one. Direct access from Islamabad Expressway, easy reach from GT Road and close proximity with Kashmir Highway and Kahuta Road have made the locality very attractive for investment. Despite its ideal location, the DHA Valley property was launched at a very reasonable rate, making it even more popular among smaller investors. The affordability factor of DHA Valley needs on-ground development to attract more investors. Fortunately, the work for infrastructural developments has resumed at various sites in DHA Valley. Speedy construction work at DHA Expressway, Main Boulevard DHA Valley and the bridge are some of the active sites, and the Authority is looking forward to offering the possession of various blocks and DHA Homes in 2016. Since DHA is a welfare organization and the core focus of the Army Chief is on the welfare of the Ministry of Defence employees, it is quite likely that DHA Valley will be all in shape in a couple of years. So, yes, your investment in DHA Valley would be ready to offer you returns by 2016. Looks like your sad days are almost over folks. Now, instead of worrying about selling your property there at lower rates, maybe you should consider buying some more land in DHA Valley.